It is amazing how much good advice for presenters you can get on the internet. Last time we did a Google search we got about 122 million hits for the key words “presentation tips”. That is a lot. You might think bad presenters should be an endangered species by now. Unfortunately that doesn’t seem to be the case. How little has changed over the last 80 years becomes obvious when you read the following two pieces by German journalist, satirist and writer Kurt Tucholsky, publicized 1930 under the pseudonym Peter Panter. You get the feeling they could have been written yesterday. Here you have almost everything that makes a beautiful start: a formal and stiff address; the beginning before the beginning; an announcement that you are going to speak and what about, and that little word “short”. In this way, you will win the hearts and ears of the listeners in no time flat. It’s just what the listener likes: getting your speech forced upon him like a tedious piece of homework, being threatened by what you are about to say, what you are saying, and what you have been saying. And be sure to keep it nice and long-winded. Do not talk freely — you will create an anxious impression. Best read out your speech. This is a safe and reliable method. Furthermore, everybody feels happy when the speaker suspiciously peers at the audience four times during every sentence in order to check if everybody is still there. Speak like you write. And I do know how you write. Speak in long, long sentences — such as the ones that you have prepared at home where you, if you don’t mind the children, have the silence you really need, and exactly know how the ending of the sentence is supposed to look like, the subordinate clauses, nicely nested into each other, so that the listener, restlessly dreaming in his seat, imagining himself being in a college lecture, in which he had slumbered happily in earlier times, awaits the end of such a period… well, I just gave you an example. That’s the way you ought to speak. Startled, he glanced up at the laughing audience. That is the way you have to go, too. You’re absolutely right: one doesn’t understand anything, and who can, without the proper historical background… that’s right! People did not come to your lecture to hear you talk about real life, but things they might as well look up in books… that’s right! Always give them history, always. Never mind if the vibrations you are sending out to the audience are coming back — that’s nothing. Just talk on, indifferent to your impact, the audience, the air conditioner, just talk, my good fellow. God will reward you. Put everything in subordinate clauses. Never say: “Taxes are too high.” This is just too simple-minded. Say: “In addition to the things I previously said I want to state briefly that, to my mind, our taxes are far…” That’s how it should be said! Drink a glass of water in front of the people now and then — they like to watch that. If you tell a joke, laugh in advance, so that everybody knows where the punch-line is. A speech is, and how could it be otherwise, a monologue. After all, it’s just one who is talking. Even after fourteen years of public speaking you do not need to know that a speech is in fact not only a dialogue but a kind of orchestra piece: a silent mass actually joins in continuously. That’s what you need to hear. No, you don’t have to hear that. Only speak, read, thunder, talk about history. In addition to what I said about speaking techniques, I would like to remark that a lot of statistics always improves a speech considerably. It is very soothing and, since everybody can remember ten different numbers effortlessly, it is also great fun. Announce the end of your speech long ahead of time, otherwise the listeners might suffer a stroke out of sheer joy. Paul Lindau* once started one of his feared wedding speeches like this: “I come to the end.” Announce the end, start your speech again from the beginning, and add another half hour. This can be repeated several times. You not only need to make a plan, you also have to announce it to the audience — this adds spice to your talk. Do not talk less than one and a half hour, otherwise it is not worth the trouble to start. If one speaks, the others have to listen — there’s your chance! Abuse it. Main clauses. Main clauses. Main clauses. Clear concept in your head — as little as possible on paper. Give either facts or appeal to sentiment. Use either sling or harp. A speaker shouldn’t be an encyclopaedia. People have already one at home. The sound of only one speaking voice is tiring, so do not talk longer than forty minutes. Do not strive for effects that are contradictory to your personality. A podium is an unforgiving thing — one is more naked there than during a sunbath. Mark Otto Brahm’s** words: What’s crossed out can’t be laughed at. * Paul Lindau (1839 – 1919), German dramatist and novelist. ** Otto Brahm (1856 – 1912), German critic, theatre manager and director. 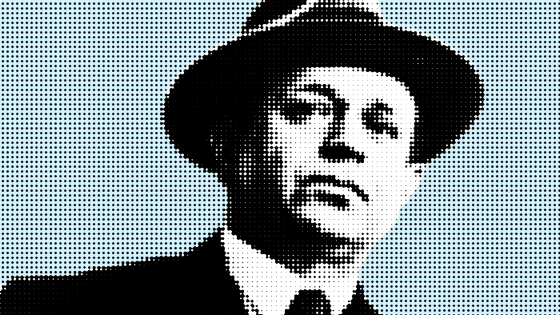 More information on Kurt Tucholsky here.